Susan Bassnett is Pro Vice Chancellor and Director of the Centre for Translation and Comparative Cultural Studies. She was educated in several European countries, which gave her a grounding in diverse languages and cultures. She has lectured in universities around the world, and began her academic career in Italy, moving via the United States to the University of Warwick, where she set up a post-graduate Centre in intercultural studies that now has a thriving international population of some 100 students. She is author of over 20 books, and her Translation Studies, (3rd ed. 2002) which first appeared in 1980, has remained consistently in print and has become the most important textbook around the world in the expanding field of Translation Studies. Her Comparative Literature: A Critical Introduction (1993) has also become an internationally renowned work and has been translated into several languages. Recent books include The Translator as Writer (2006) co-edited with Peter Bush and Sylvia Plath: An Introduction to the Poetry (2004). Besides her academic research, Susan Bassnett writes poetry. Her latest collection is Exchanging Lives (2002). She also writes for several national newspapers. 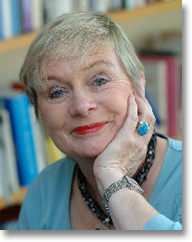 She takes a keen interest in regional and national policy for the arts, and chairs the board of the Warwick Arts Centre. She is a fellow of the Royal Society of Literature and a council member of the Academia Europaea.